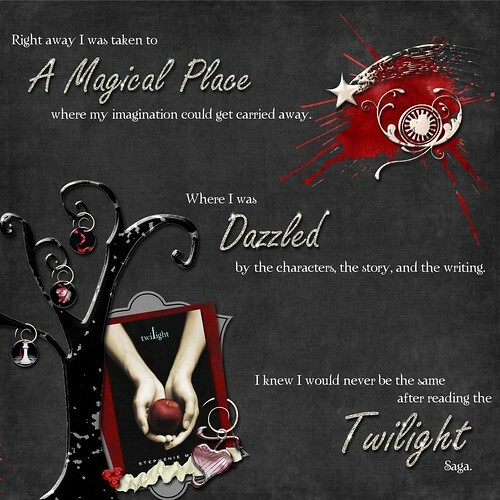 This is the title page for my Twilight scrapbook. It is a digital layout created in Photoshop Elements 5.0. I completely scrap-lifted it from http://www.pimpyourscrapbook.com/2009/03/saga-winner.html. The only reason it isn't an exact copy is because I don't have all the exact elements in the original layout.